For thousands of years, human lives and diets have been closely tied to the rhythms of the seasons—and for good reason. Following the season-by-season nutritional principles of Chinese medicine is the best way to maximize the nutrients in your diet and strengthen your body. 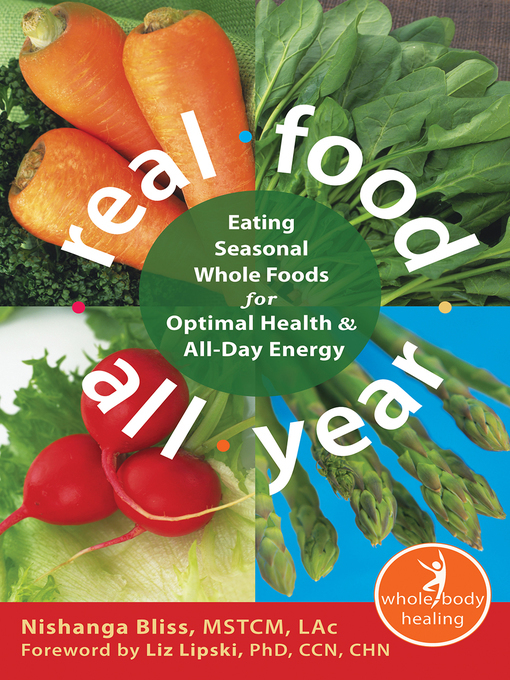 Real Food All Year offers seasonal shopping lists and meal suggestions, detoxifying cleanses drawn from the wisdom of ancient traditions, and tips for putting together quick snacks on the go. This guide includes everything you need to enjoy the pleasures of eating fresh foods and nourishing your body in the way nature intended. Liz Lipski - Author of introduction, etc.